The word 'Street Food' (or Chin Janbe in Creole) means ready to eat food or drink sold in a street which are cheaper on average than restaurant meals. Once you walk in the streets of Port-au-Prince, you will notice the catacombs of food stalls on almost every street corner. The main characteristic of Haitian street food is, they are prepared with very simple ingredients, but the taste is made to every heart's content. Haitian street foods are more about traditional Haitian dishes than usual rice and beans, although they are really good. One of the most common food items on the street is 'paté', a deep fried savory pastry, flour crust stuffed with sausage, chicken or egg omelets. Haitian cuisine consists of several cooking traditions drawn from the French, African, Spanish, Taíno natives and Middle Eastern Arab descendants. Some of the Haitian street food delicacies are: Griot (deep-fried beef or pork), Haitian Chicken in Sauce, Soup Joumou (Pumpkin Soup), or Sos Pwa Rouj (Red bean soup), served over white Jasmine rice with Haitian stewed chicken. Discovery of Haiti is never completed without eating its street food. Some advise, you may get sick from eating some street food in Haiti, but you can't worry about that. If that happen, there are usually some local medicines that work wonder. 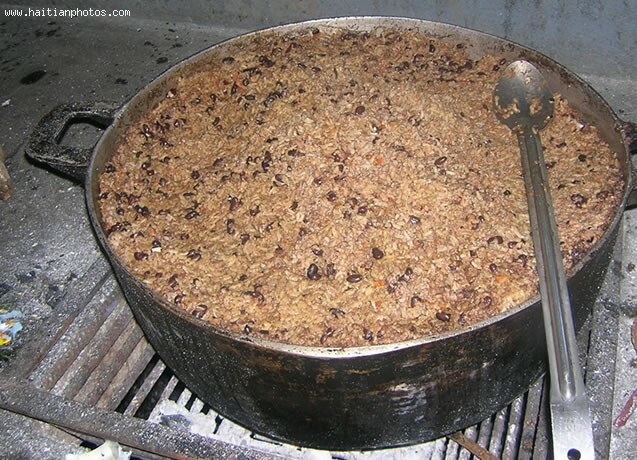 have you ever experienced a Chin Janbe in Haiti? Yes the street food in Haiti is delicious.